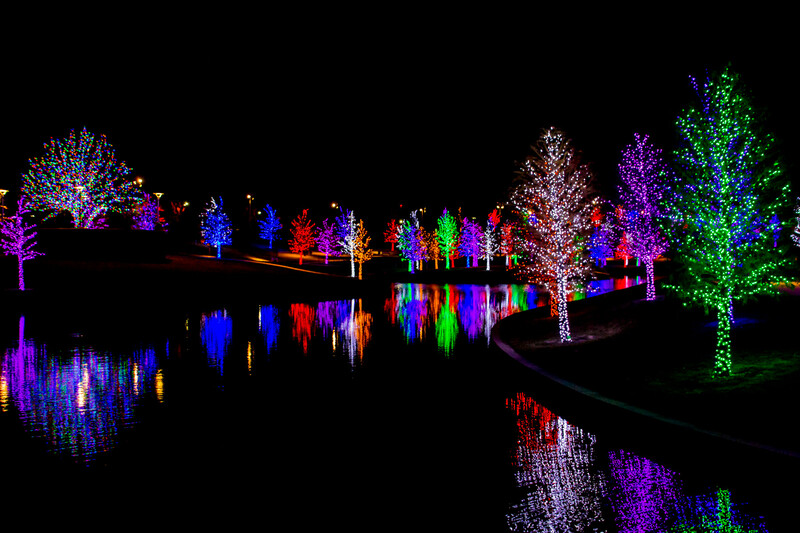 Trees in Addison, Texas’ Vitruvian Park decorated with multi-colored lights for the holidays. 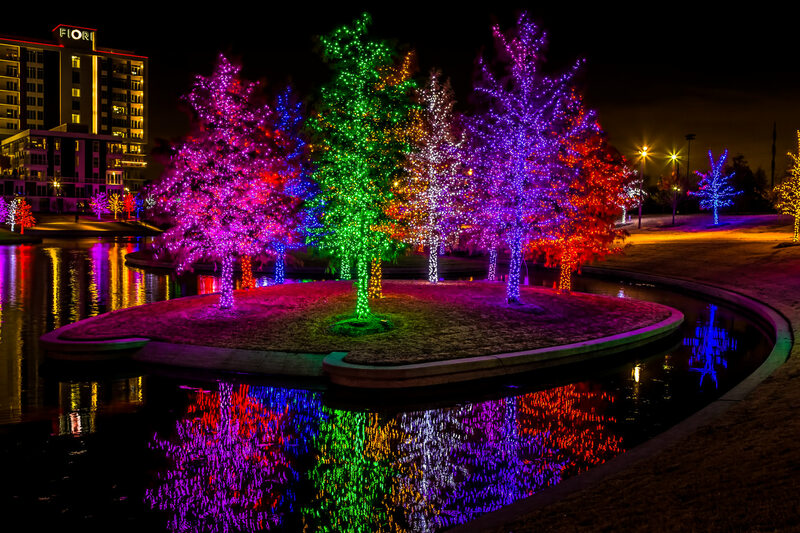 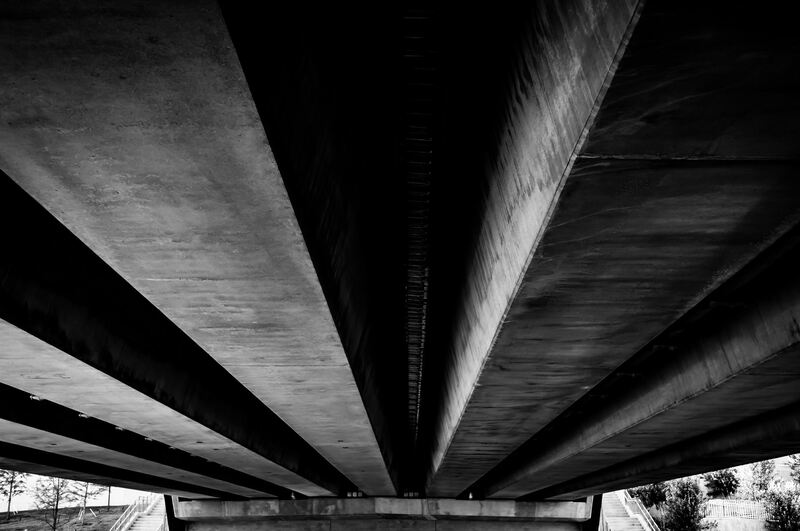 Underneath a bridge at Addison, Texas’ Vitruvian Park. 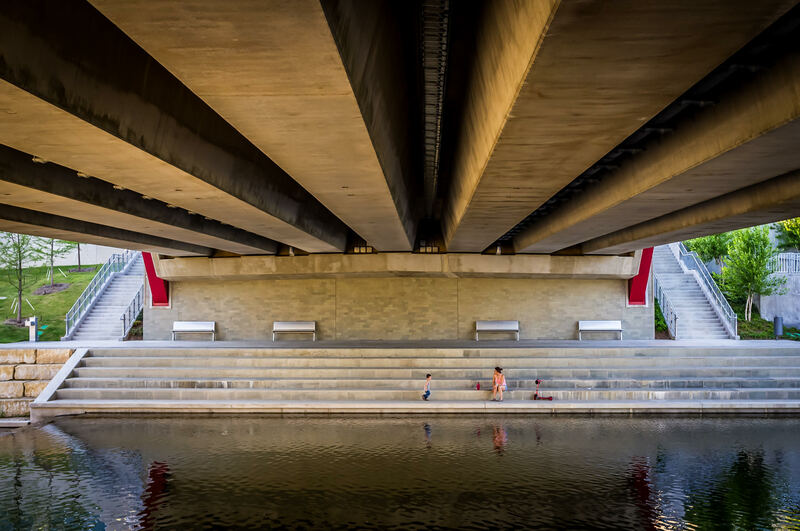 Playing under a bridge in Addison, Texas’ Vitruvian Park.